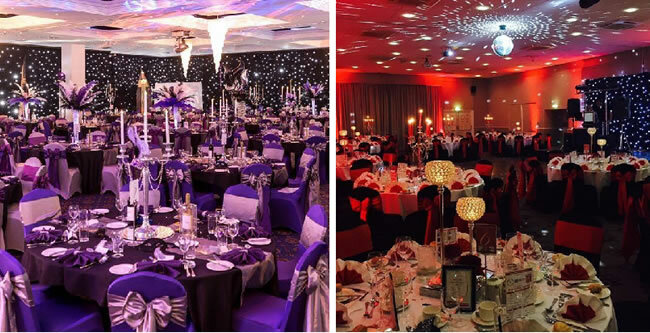 We offer a full design and venue dressing service for all types of parties, Corporate dinners, awards evenings & prom nights. Our experienced team will work with you putting together initial designs & mood boards, creating the design to any required budget. This is where we can really put our design skills to full use, creating a full theme for the event venue. From backdrops & lighting, table & chair designs, centre pieces to any props or extras required. We have it all to ensure your event goes to perfectly to plan!